Perched on the west side of Big Rock Bay this 3 bedroom, 3.5 baths truly captures what owning a home at Lake Lotawana means. Starting at the lake a large double well dock in deep water. Fire pit with patio for the evening campfires and marshmallows. Large deck for mass entertaining and sunset views. Inside you will find open floor living rooms, elegant kitchen with walk-in pantry, and SS appliances. Large Master suite with martini deck. DBL vanity, walkin shower, his/her closets. Walk out lower level/Media room. Lake Lotawana is located in Missouri. Lake Lotawana, Missouri 64086 has a population of 95,094. The median household income in Lake Lotawana, Missouri 64086 is $78,186. The median household income for the surrounding county is $46,917 compared to the national median of $53,482. The median age of people living in Lake Lotawana 64086 is 37.2 years. 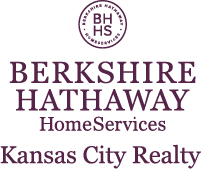 I am interested in 55 S Street, Lake Lotawana, MO 64086.